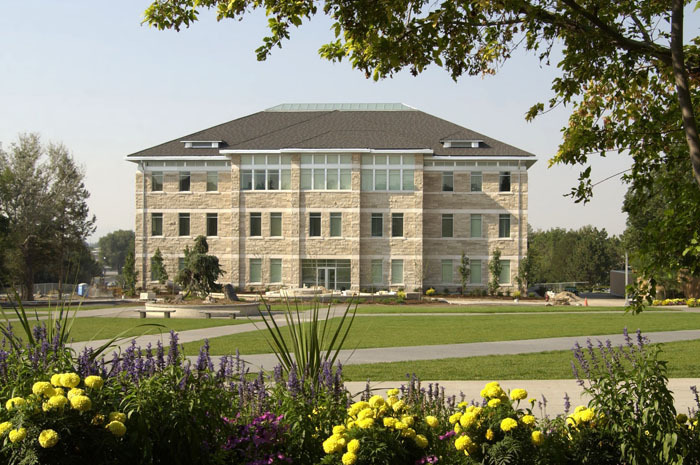 Our Commercial projects include Hotels, Motels, Inns, Restaurants, Retail Stores, Malls, Plazas, Fire halls, Condominiums, Federal Defense, School, Libraries, Places of Worship, Medical Centres, and Municipal Buildings. However minor or major your project, we’ve got you covered! Please fill out the online form at Get a Quote or call our toll-free number so we can discuss the best way to get started on your commercial project. 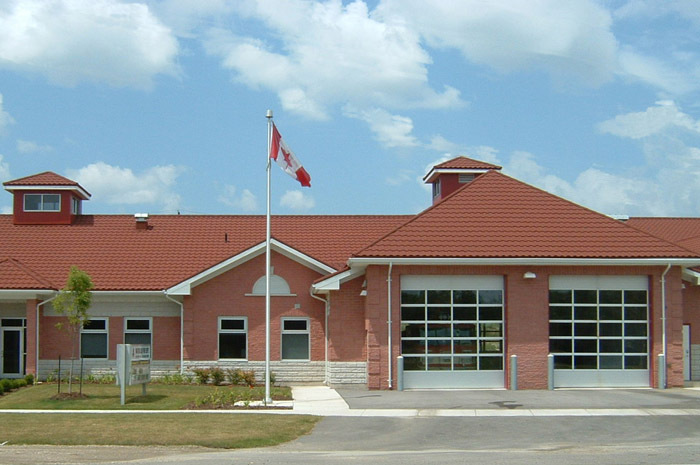 The Lincoln Fire Station in Jordan, Ontario is protected by a durable and beautiful Metal Slate Roof in Weathered Stone by Metal Roof Outlet! Here is another look at the steel slate roof Metal Roof Outlet installed for the Lincoln Fire Hall in Jordan, Ontario! 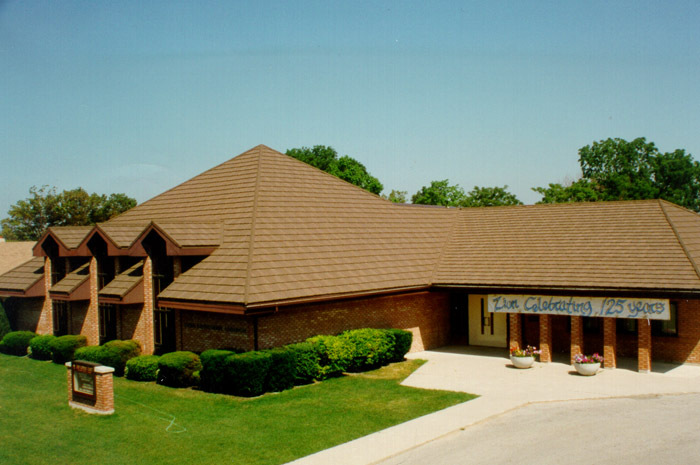 The classic stone and brick of this Ontario building is complemented by a dark brown metal tile by Metal Roof Outlet. 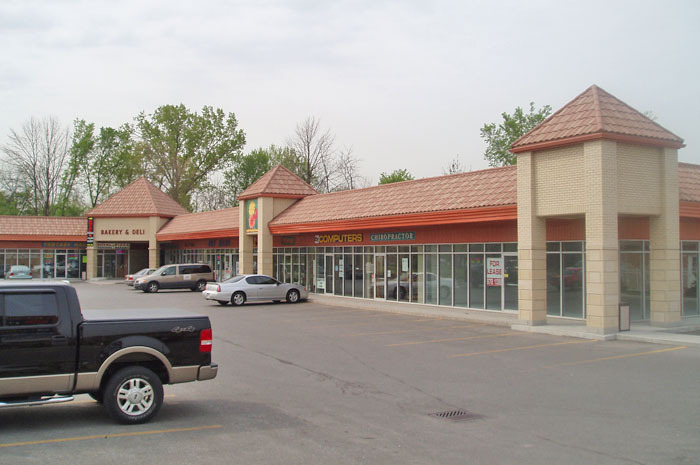 This shopping plaza in Ontario features a clay-coloured steel tile to go with the orange trim. 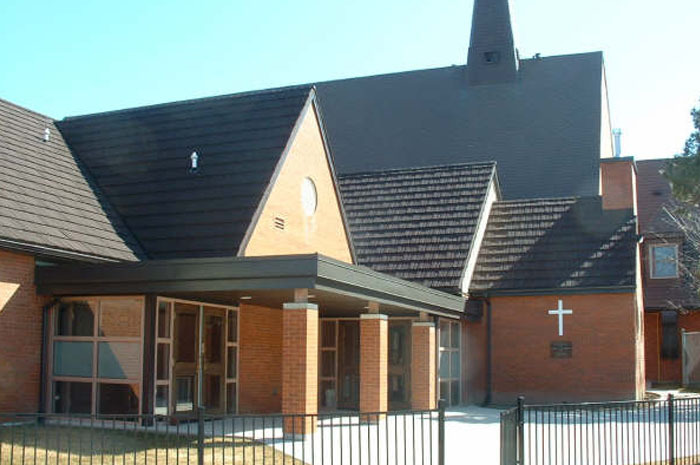 This Ontario church is topped with a black metal shake from Metal Roof Outlet to ensure the building will last for years to come. 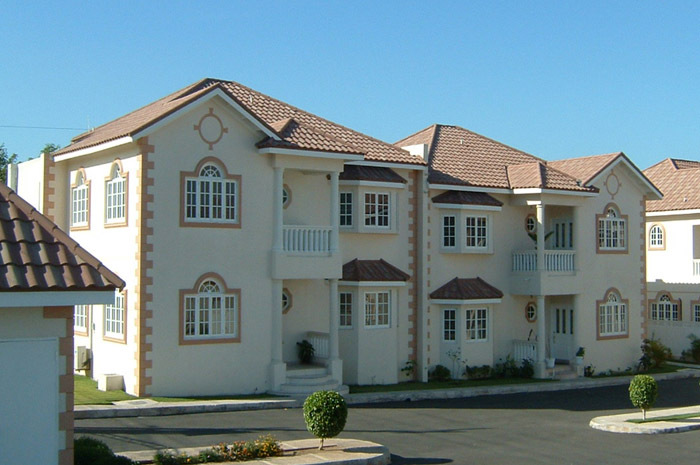 This cream coloured condominium finished their mediterranean look with a brown steel tile from Metal Roof Outlet. 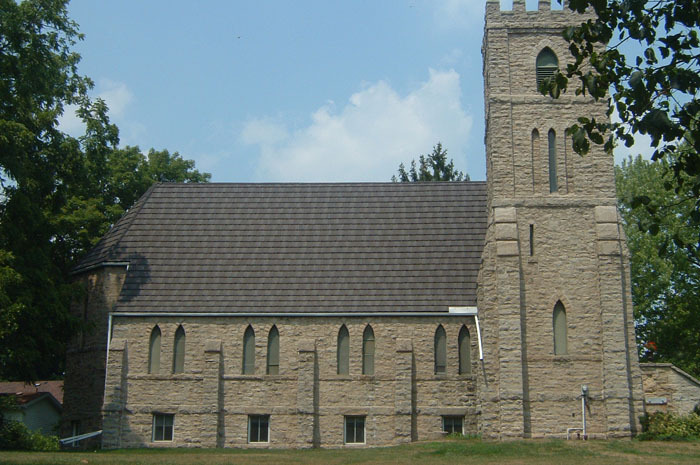 This historical Ontario church wanted a classic look without sacrificing structure and longevity – this roof is built to last, just like this traditional architecture. 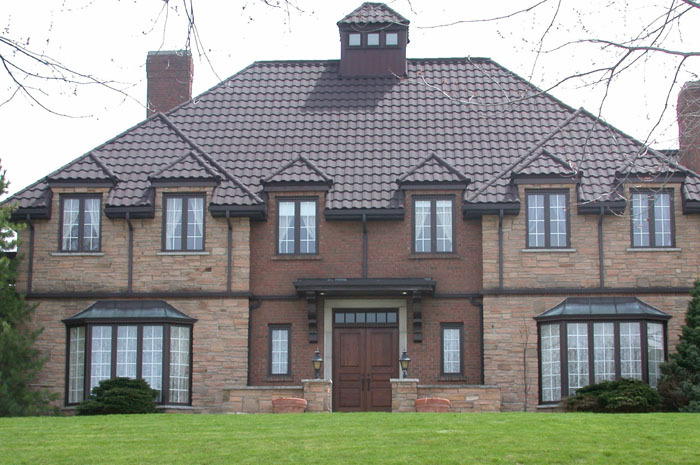 Metal Roof Outlet gave them the look of a classic shake roof, with a lot more strength. 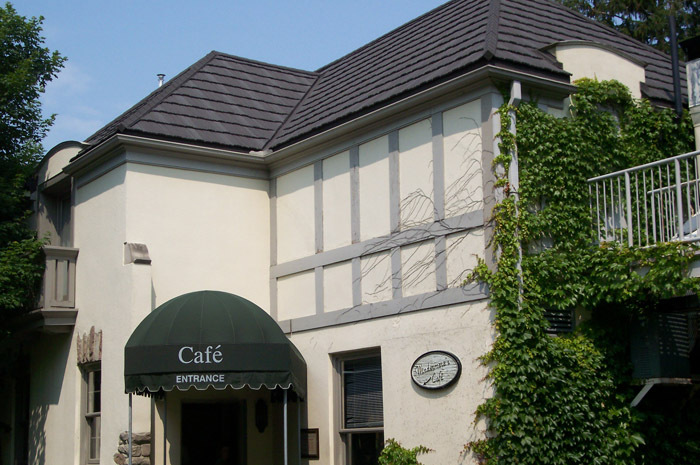 This lovely café wanted to maintain its classic look set by its traditional architecture and climbing ivy, so it opted for a charcoal shingle-style metal roof from Metal Roof Outlet. 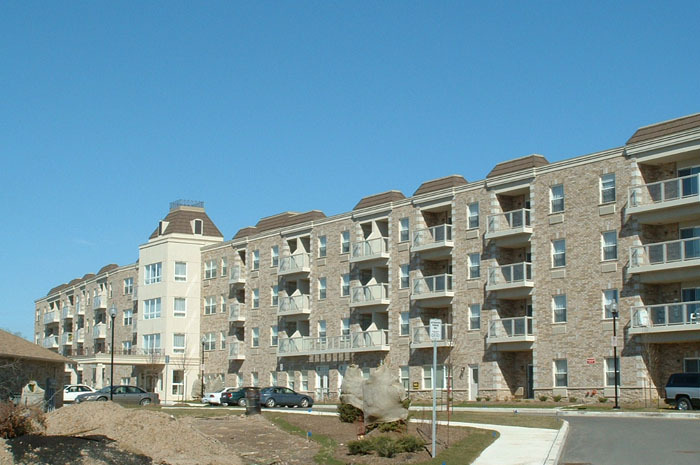 This beautiful condominium complex chose a brown metal shingle. Metal Roof Outlet installed a roof that looks great and raises the value of the units, and will protect the building’s integrity for decades. 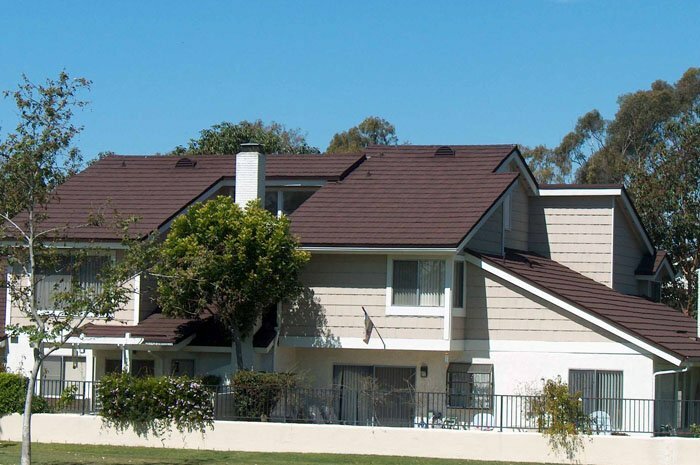 Here is a closer view of this condominium’s steel shingle roof by Metal Roof Outlet. 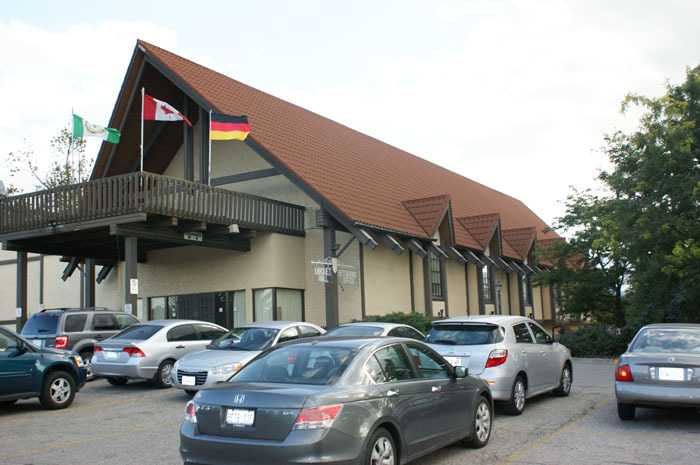 This German cultural community center in Ontario asked Metal Roof Outlet for a rusty brown steel shingle to refresh the building’s façade. 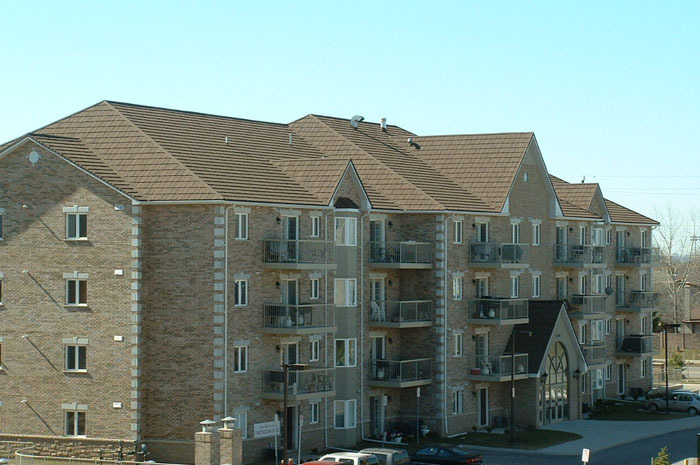 This four story condominium complex features a brown steel shake roof installed by Metal Roof Outlet, Ontario. 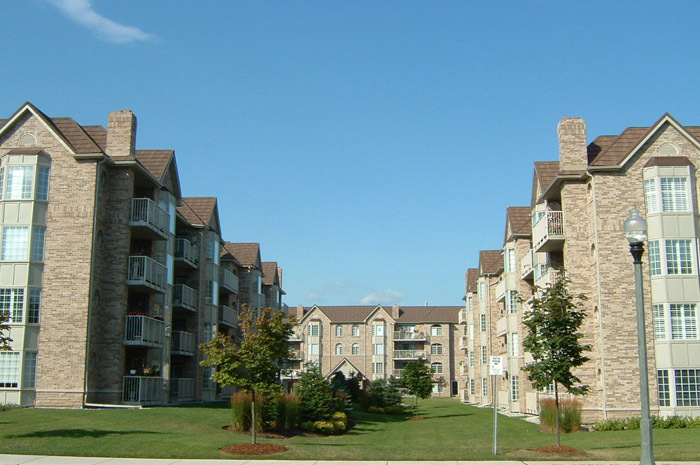 Here is a closer look at Metal Roof Outlet’s work on this gorgeous Ontario condominium. 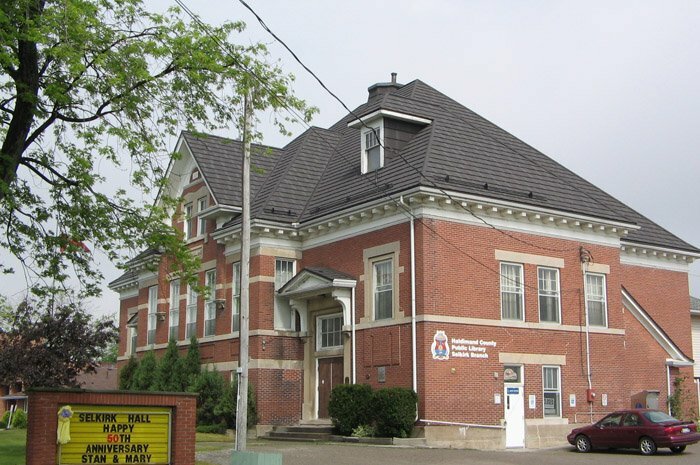 This building is topped with a chestnut coloured continental steel tile by Metal Roof Outlet, Ontario. 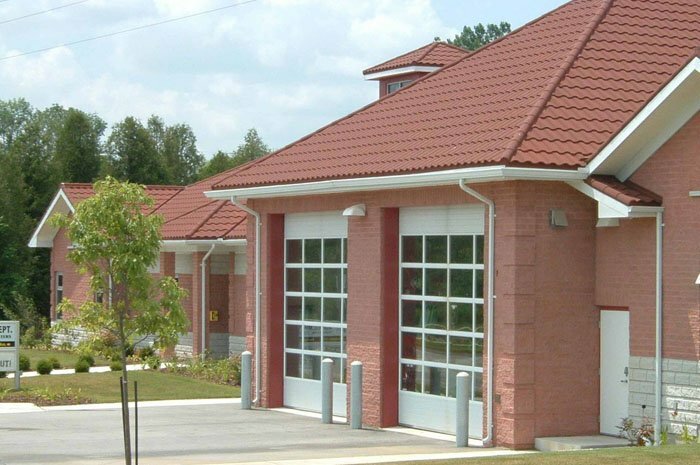 This firehouse in Ontario protects its community, so Metal Roof Outlet made sure they were protected from the elements with a steel continental tile roof. 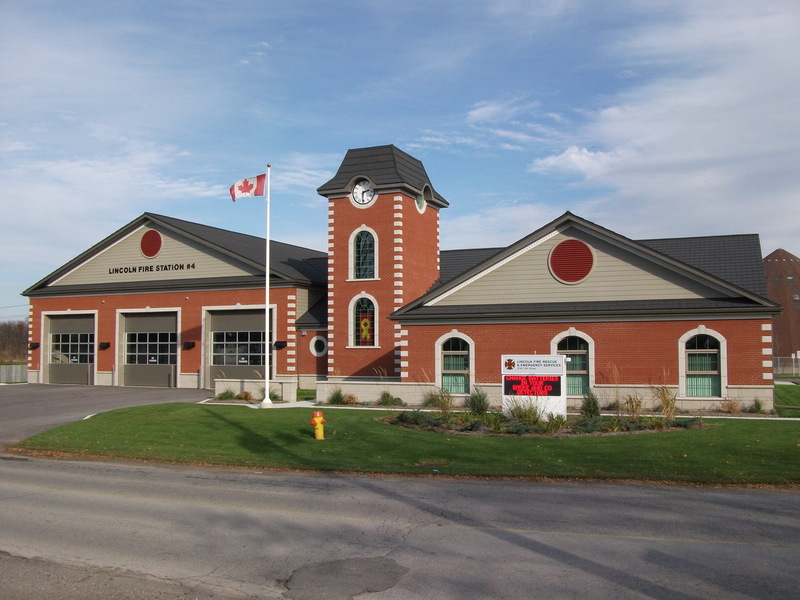 Here is a closer view of the Ontario Firehall which trusted Metal Roof Outlet’s steel continental tile to protect it. 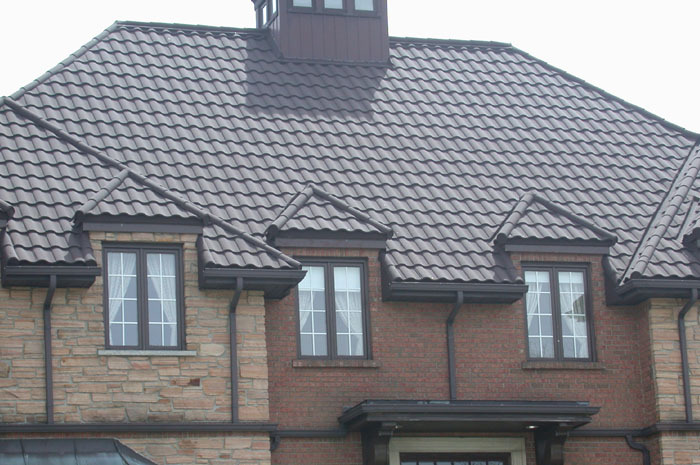 This bright and sunny Ontario business is topped by a chestnut steel shingle roof by Metal Roof Outlet, expertly installed around its gorgeous skylights. 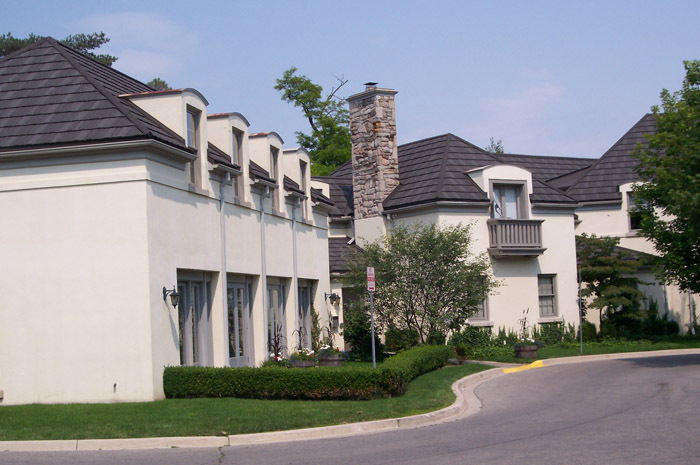 These mediterranean-styled condominiums are finished wtih a black steel shingle roof by Metal Roof Outlet in Ontario. 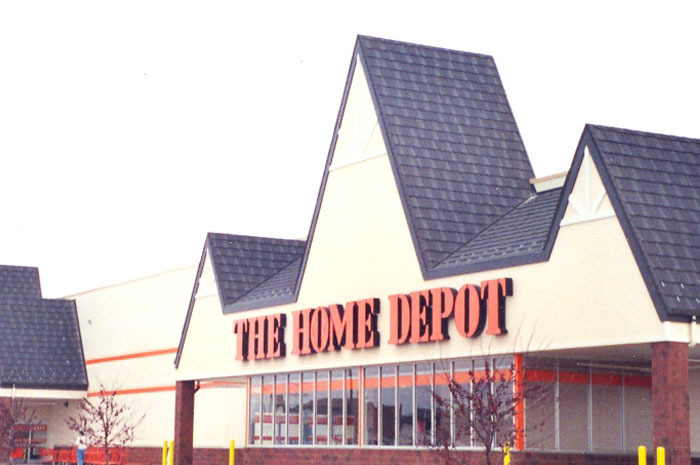 This Home Depot location in Ontario trusted Metal Roof Outlet to finish its peaked roof with a marled black steel shake. 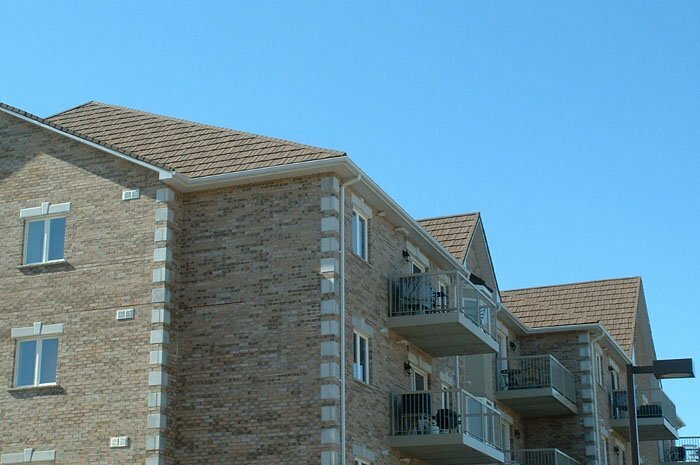 This condominium complex in Ontario features variegated brickwork paired with a brown steel shake roof by Metal Roof Outlet. 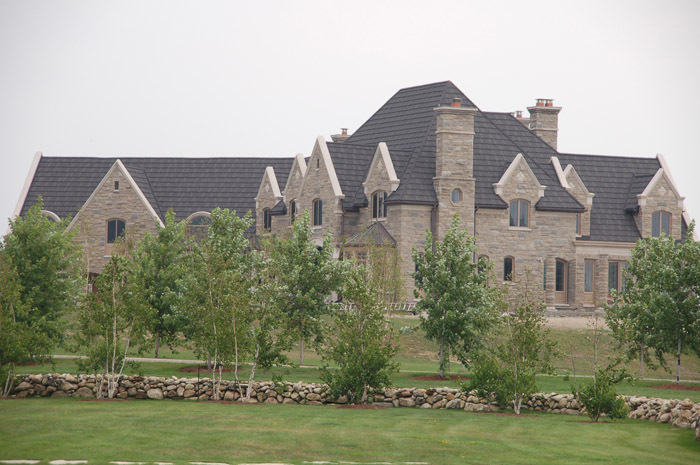 This classic stone building has a charcoal steel shake roof installed by Metal Roof Outlet, Ontario. 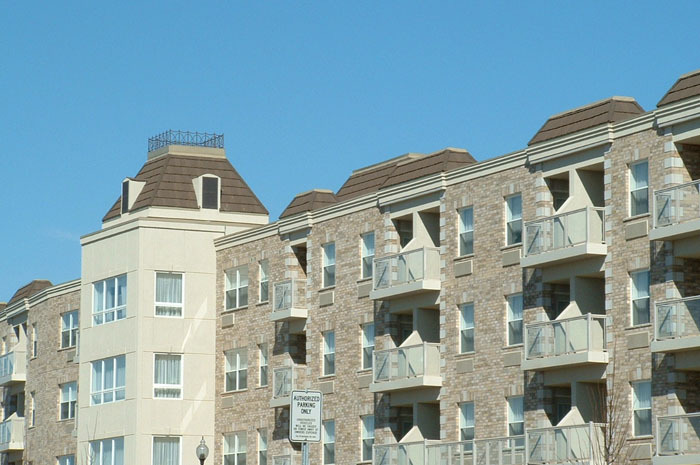 These shake-sided condominiums in Ontario chose a brown steel shingle roof from Metal Roof Outlet. 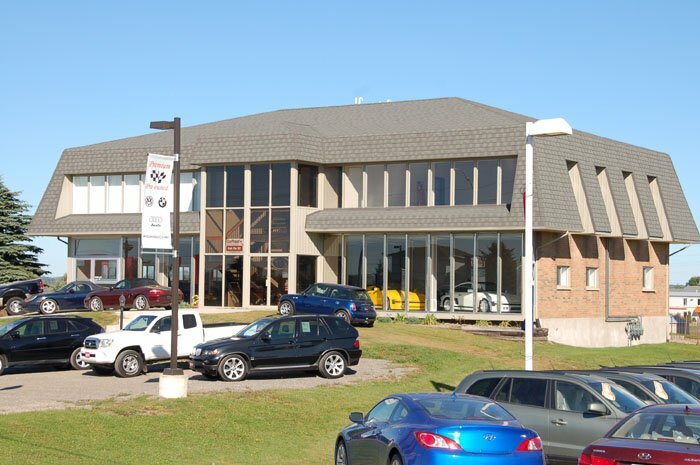 This car dealership in Ontario has plenty of windows – no trouble for Metal Roof Outlet’s experienced and professional installation teams! 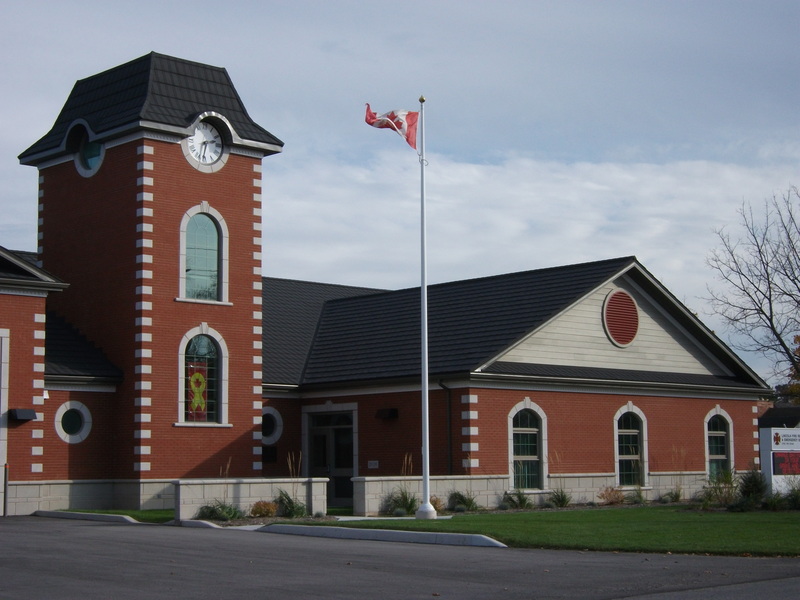 This red brick Ontario public library chose a charcoal steel shingle from Metal Roof Outlet, an investment which will preserve the integrity of the building and its contents for decades.